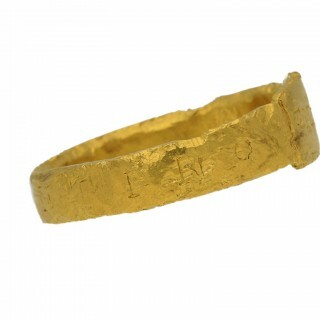 Ancient Roman gold ring. 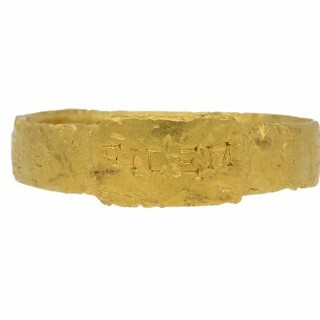 A textured yellow gold flat conforming band with a central rectangular plaque inscribed ‘FIDEM’ and ‘CONSTANTINO’ inscribed around the band, Latin for ‘loyalty to Constantine’, very gently tapering to reverse, approximately 4.5mm in width at the narrowest point. 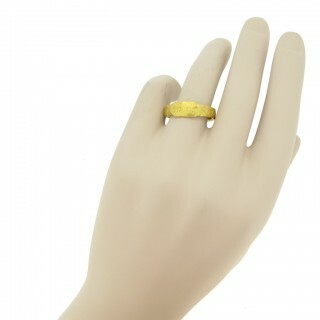 Tested yellow gold, approximately 10.69g in weight, circa 306-337 AD. Constantine the Great was the Roman Emperor from 306 to 337 AD. He instituted radical historical changes- he was the first Emperor to convert to Christianity and was integral in the spread of the religion; he built a new residence at Byzantium, named it Constantinople after himself and so is attributed with the founding of the Byzantine Empire which ruled for over 1000 years; and introduced the new system of dynastic succession by leaving power to his sons. 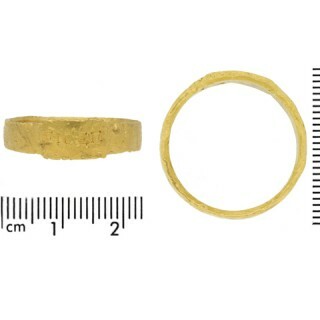 See British Museum acquisition number 1917, 0501.649 and Fitzwilliam Museum acquisition number GR.1.1975 for comparable rings. 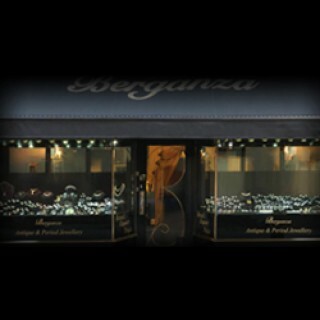 Rings such as this were a symbol of allegiance and imperial favour, gifted to high ranking military officers for good service and as part of their pay. 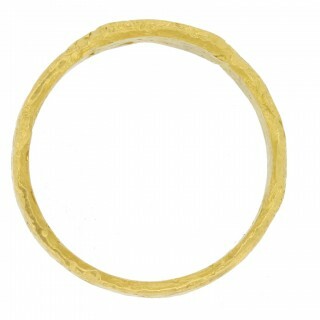 So few of these rings exist as they were meant as cash gifts- ie to be melted. 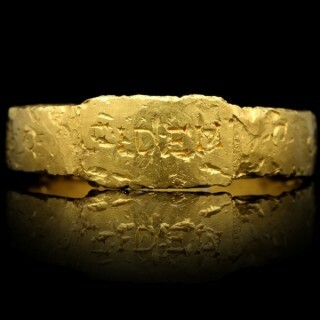 Ancient Roman gold ring, circa 306-337 AD.